CloudWare is a delivery mechanism that delivers any application to any device (iPad, Android, Mac, and Linux) over any connection seamlessly with no additional development required and uses less bandwidth! You can even deliver MS Office alongside, including Hosted Exchange, providing a virtual desktop at a fraction of the cost. CloudWare enables instant access to ALL your business critical applications, FROM ONE CENTRAL ENVIRONMENT, anywhere, anytime on your mobile devices. Reduced IT support and maintenance costs. A single Cloudware installation allows all employees to access applications without them having to be installed individually on their PCs. Applications that took too long to load are now accessible. Happy Users = Happy IT Managers! Increased productivity and efficiency – users are able to work remotely, anywhere, anytime on their mobile devices. Increased turnover and time for your business. CloudWare will minimise IT support costs, reduce bandwidth costs, improve data security and backup and the use of minimal management effort and provides on-site and web access. CloudWare uses ARCFOUR algorithm, which is a military grade encryption that ensures all data is secure. All data in the data centre (whether internally or externally) is protected by a redundant FortiGATE Firewall and backed up remotely for additional security. This is the standard included with CloudWare. However, should organisations prefer to use alternative encryption layers such as Thawte or Veri-sign 1024 bit SSL encryption, this can be enabled over and above or in place of the standard. Furthermore, full AD / LDAP and additional 2 phase authentication can be used to secure the initial access to the chosen environment. How will this product cut IT support costs? There is no software installation required at terminal point, no software upgrades at desktop level, no hardware upgrades at desktop level, no processor, no RAM and no Hard Disk (HD) present on-site. All this reduces onsite maintenance charges. 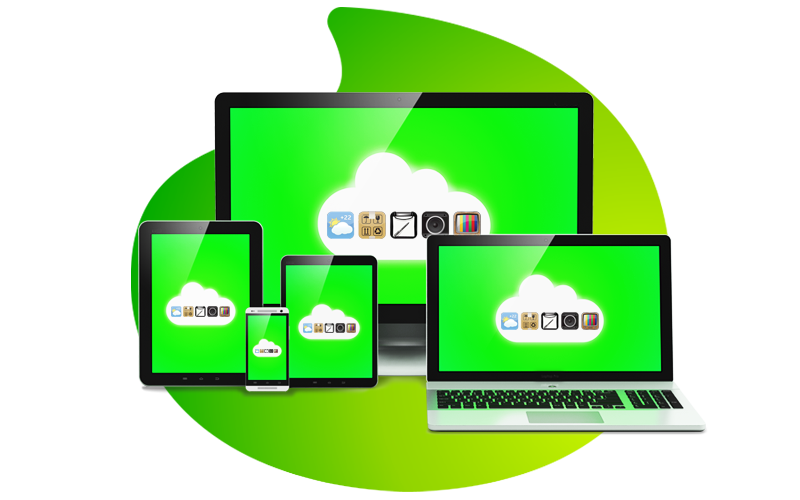 The CloudWare System requires no processor or operating system on the device or dumb terminal at the place of use. New application requirements will not require hardware upgrades at desktop level. How do I access my virtual desktop using CloudWare? This is done by merely using an internet connected device and logging in with a username and password, thereby giving you access to your own desktop software applications from anywhere in the world on any connected terminal.